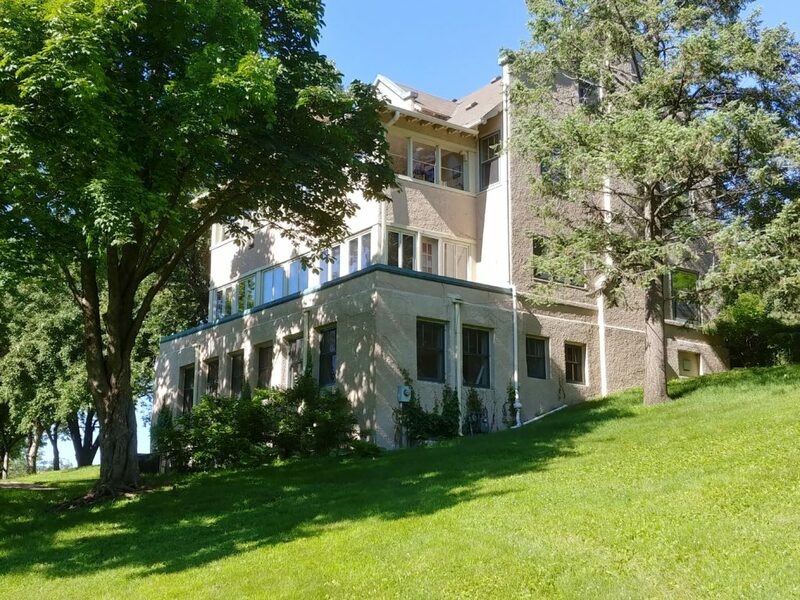 On June 23rd, Graham Sones joined his fellow ASLA MN volunteers at the Theodore Wirth Home and Minneapolis Park and Recreation Board Administration Building to move heavy furnishings from storage to the National Historic Site. Items that belonged to the Wirth family and office furniture used during Wirth’s term as Superintendent of Minneapolis Parks were carefully moved from a storage facility in Hopkins to the historic Wirth house in the Kingfield neighborhood. This included 4 drafting tables, a dining table and a number of bedroom furniture items. Joan Berthiaume, co-founder of the Minneapolis Parks Legacy Society, organized the event by calling on the local ASLA chapter for able and willing volunteers. Three ASLA members responded and a fourth was with Joan to drive and pack the rental van. When the day’s moving tasks had ended, she kindly offered a signed copy of the 2006 limited edition “Minneapolis Park System 1883-1944” by Theodore Wirth to each of the movers.